If Kalamata olives, feta cheese, and fresh lemons sound like heaven to you, you’ll love these 20 Greek recipes. 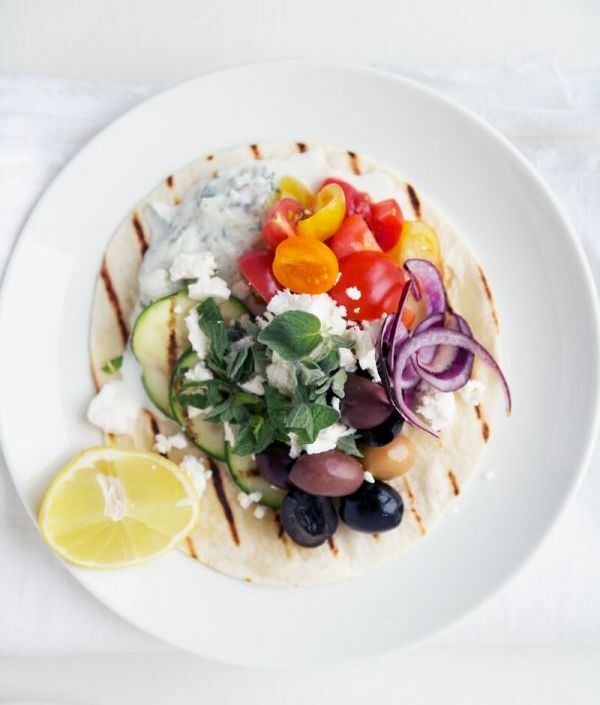 Your boss might frown on you up and running off to Greece without a moment’s notice, but these fresh, flavorful Greek recipes mean that you don’t have to leave home to recreate the warmth of a day spent on Santorini, Kos, or any of Greece’s other pristine beaches. In the mood for something light? 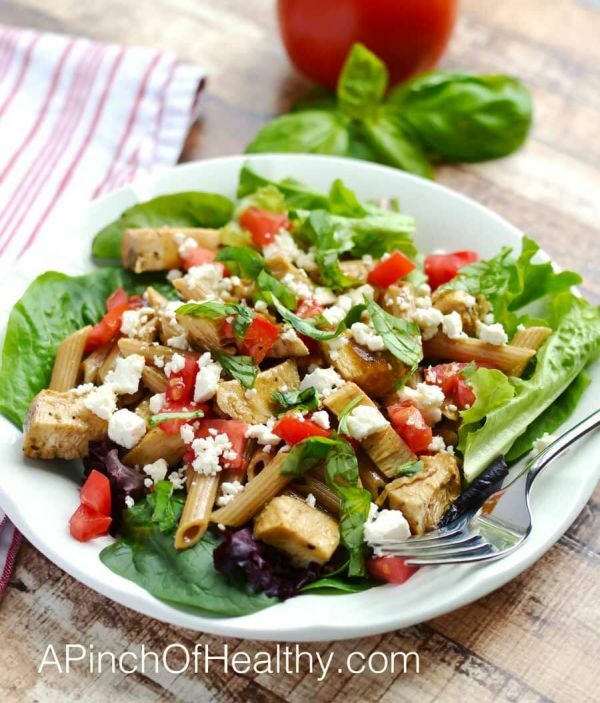 Start with the Greek Veggie Pasta Salad. Ready for your main course? Our spanakorizo replaces butter with olive oil for a healthier alternative. It’s enough to make you stand up and yell “Opa!” in your kitchen! By now you’ve probably heard of the Mediterranean diet, which revolves around ingredients that are regional to Greece, Italy, Sicily, and Crete. 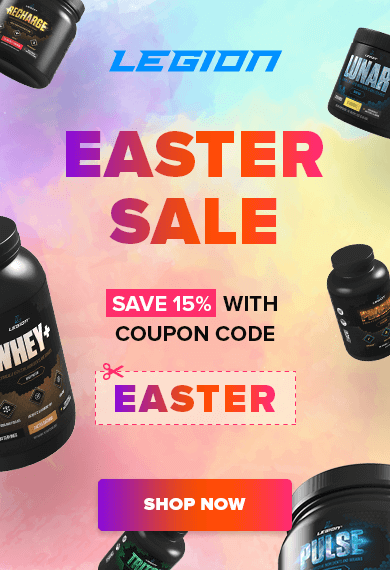 The guidelines are easier to follow than most diets, including paleo, and it focuses on eating fresh veggies, choosing lean meats over red meats, and switching out butter for olive oil. But that’s not to say that Mediterranean food can’t be stick-to-your-ribs good, as proven by this hearty Greek stew. This is a recipe by Maria Loi, who offers up family favorites like her mother’s Greek yogurt recipe in her cookbook, The Greek Diet. 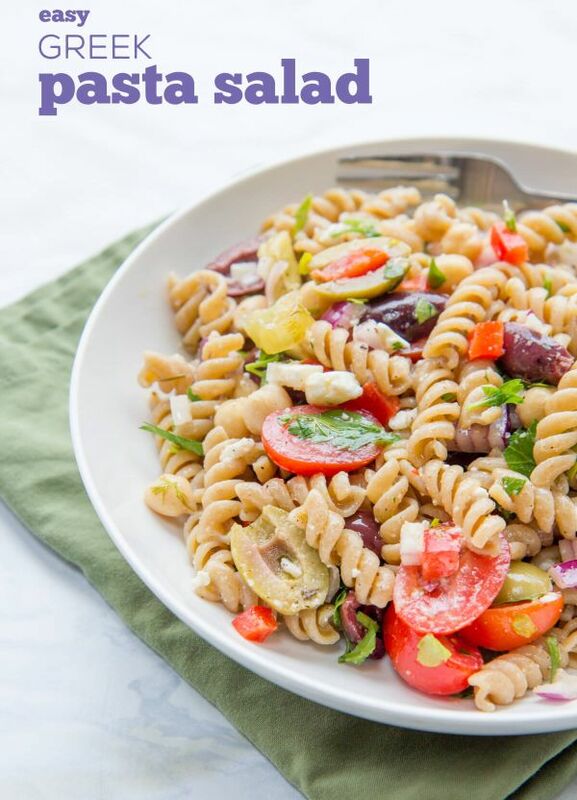 To get a Greek pasta salad, take all the ingredients you would add to a Greek garden salad, and add rotini. That includes red onion, cherry tomatoes, cucumber, feta, chickpeas, and black olives – there’s so much in here, if you don’t like something, it won’t be a big deal to leave it out. Then instead of lettuce, there’s fresh herbs. If you don’t have access to fresh parsley and dill, though, you can substitute with one-third the amount of dried herbs. For example, use 2 teaspoons of dried dill instead of 2 tablespoons fresh. 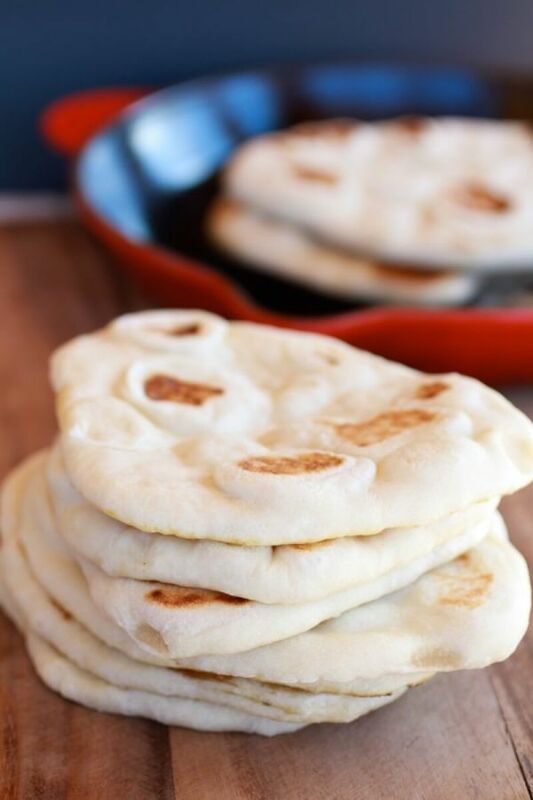 Pita has become so popular that it’s sold in most grocery stores, even in whole-wheat variety. But there are a lot of rewarding moments when you make it from scratch. You get to knead the dough, which is an upper-body workout. Then you get to watch the pita puff up and brown in a skillet, kind of like cooking pancakes. Finally, the best part is eating them hot and fresh with hummus, keeping the rest on hand for pita pocket sandwiches. This is a simple vegetarian soup that doesn’t take much in terms of effort or ingredients to throw together. Yet you’ll be rewarded with a comforting, protein-rich soup. Start by sautéing the onion, garlic, and carrot, and then stir in everything else. Reduce the heat when it boils, and let it sit for about 45 minutes, or until the lentils are tender. Add a splash of red wine vinegar at the end to bring all the flavors together, and serve with Greek yogurt. Tired of pasta and marinara? 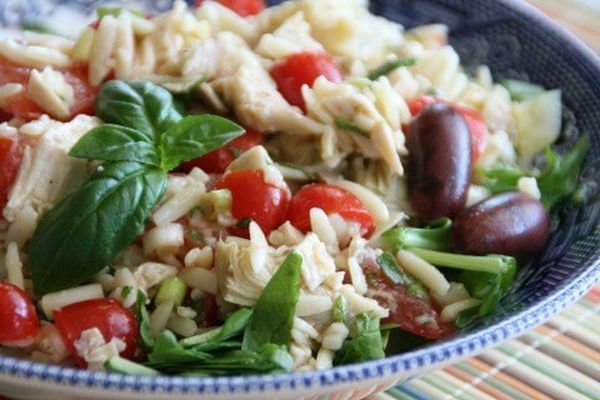 Instead of tomato sauce, serve penne with fresh diced tomatoes and chopped olives, like in a Greek salad. The pasta is served warm, but the fresh veggies are served at room temp to create contrast (and make this Greek chicken dinner easier to cook). You can also use leftover chicken breast instead of grilling it fresh, making this a great pasta recipe to keep in mind when your fridge is overloaded. These tacos are everything you love about the Mediterranean diet wrapped up in a soft tortilla. In fact, the only thing about this that isn’t Greek is the taco format itself, so it’s like replacing pita bread with tortillas. A great summer recipe, these tacos are an easy way to highlight farmers’ market finds like juicy cherry tomatoes, crisp cucumber, and fresh herbs. 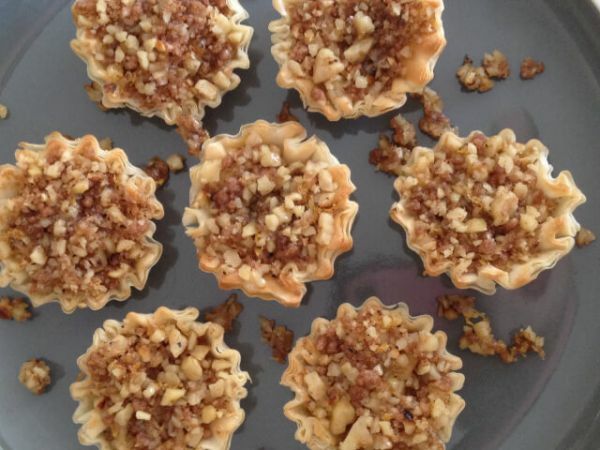 This version of baklava isn’t just healthy because the phyllo shells keep the portions small. Instead of butter, the filling uses tahini, a paste made from sesame seeds. Butter isn’t bad in moderation, yet tahini is hands-down the winner in terms of nutrition. Sesame seeds are loaded with unsaturated fats and are one of the best natural sources of calcium. There’s a smattering of other minerals in tahini too, including copper, manganese, and iron. 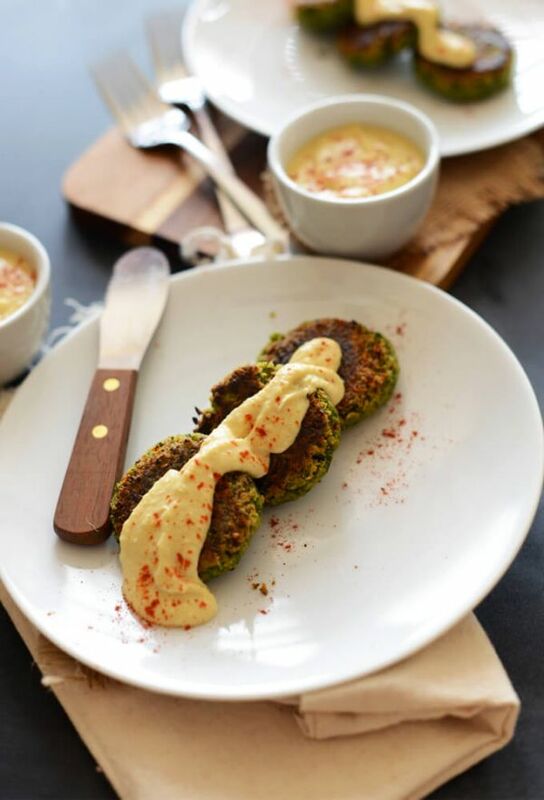 This is an update on the timeless combo of Greek hummus & falafel. 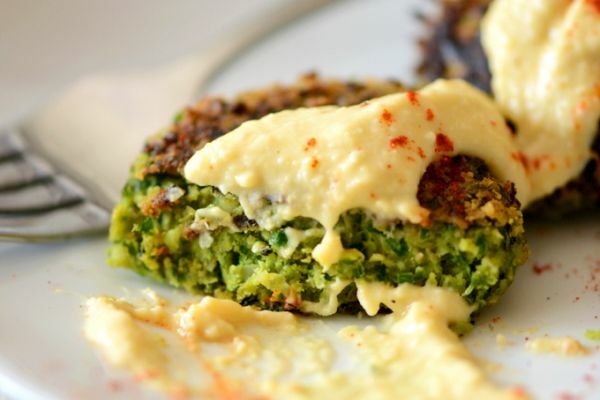 And it’s healthier than the kind of falafel you’ll find in a Mediterranean restaurant or sandwich shop. That’s because these falafel aren’t just made from chickpeas, but are stuffed with collard greens (or Swiss chard) as well. They’re also pan-cooked in a light amount of olive oil, rather than being fully fried. Enjoy them with or without pita bread, alongside hummus and/or tzatziki. 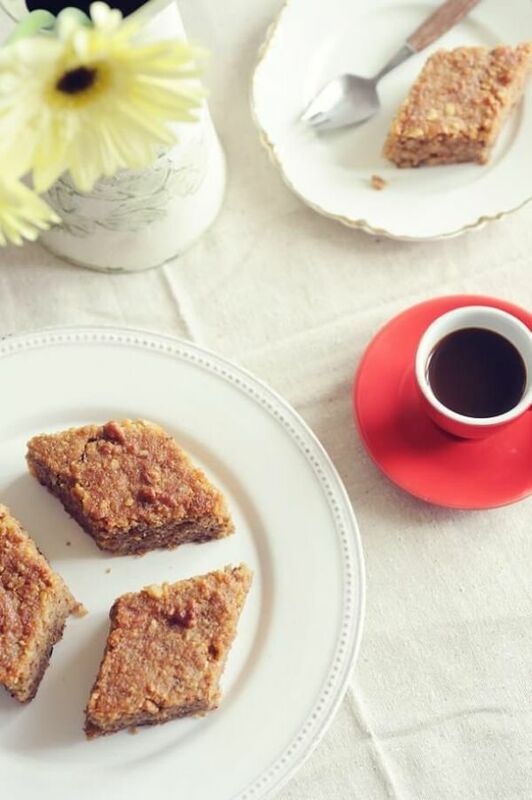 This cake is often served for special occasions in Greece, but it can also be delicious with a cup of afternoon tea. It’ll also be a welcome surprise at any cookie exchange or bake sale. Instead of flour, the recipes uses both breadcrumbs and walnuts. And like baklava, this Greek dessert is finished with a pour of syrup, although it’s made with cinnamon and sugar rather than honey. When you replace sandwich bread with a tortilla, it might seem like you have to bulk up the meat to make it a full meal. 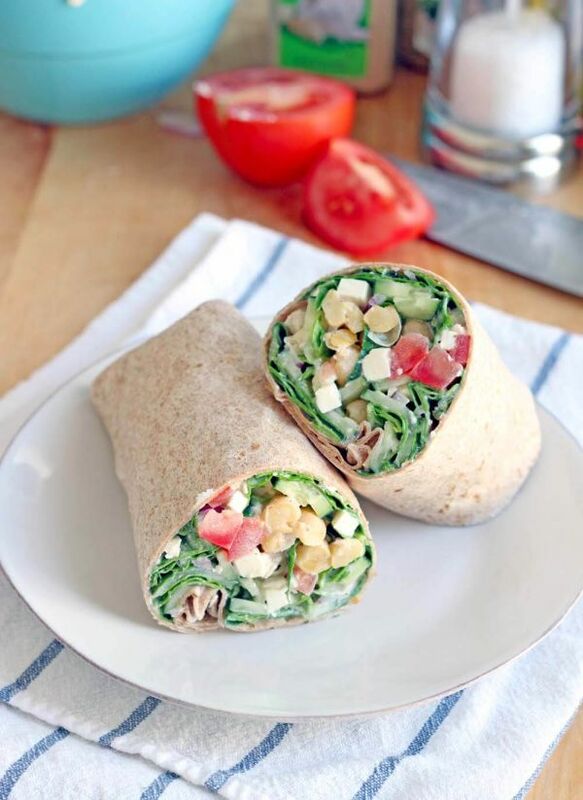 But this recipe proves that vegetarian wraps can be filling enough to eat for lunch or dinner. It’s packed with not just greens but chickpeas, cucumber, olives, and feta. 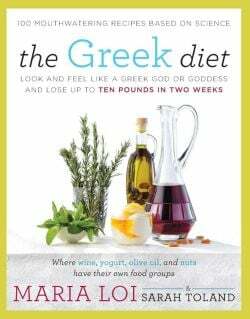 It also includes a recipe for homemade Greek dressing, which uses yogurt to make a light vinaigrette with less olive oil. When you pick up perfectly ripe tomatoes from the farmers’ market, sometimes it’s hard to turn them into a sauce or mix them up in a salad. They deserve to be the star of the plate, and that’s the role they have in this dish. The insides of the tomatoes are scooped out to remove the seeds and make room for Greek quinoa salad. 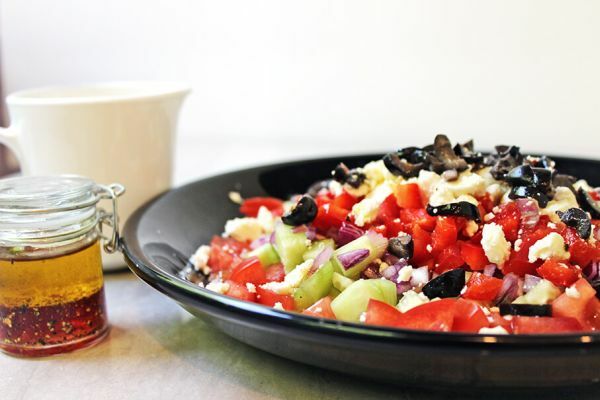 A healthy Greek salad doesn’t have to rely on leafy greens. This one relies on the vine-ripened tomatoes, crisp cucumber, sweet bell peppers, and salty feta to fill up the bowl. And of course there are also purple Kalamata olives, hail from the Peloponnese region of Southern Greece. This salad is finished with a simple olive oil and vinegar dressing that’s sweetened with a touch of honey. This elaborate casserole, the national dish of Greece, doesn’t make it outside of the Mediterranean nearly enough. It’s similar to shepherd’s pie, but with a base layer of sliced eggplants and potatoes. On top, there’s a layer of baked becahamel made with Parmesan. 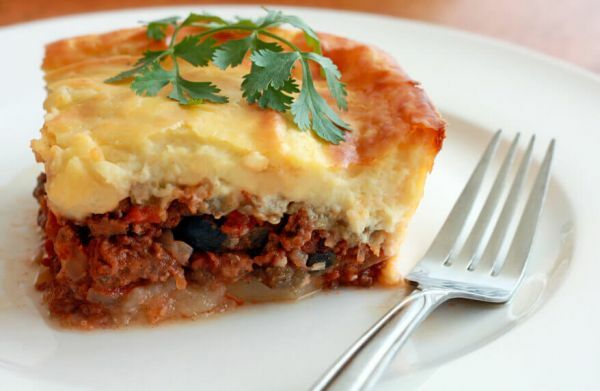 Moussaka can be made with any kind of meat, with lamb being one traditional option. 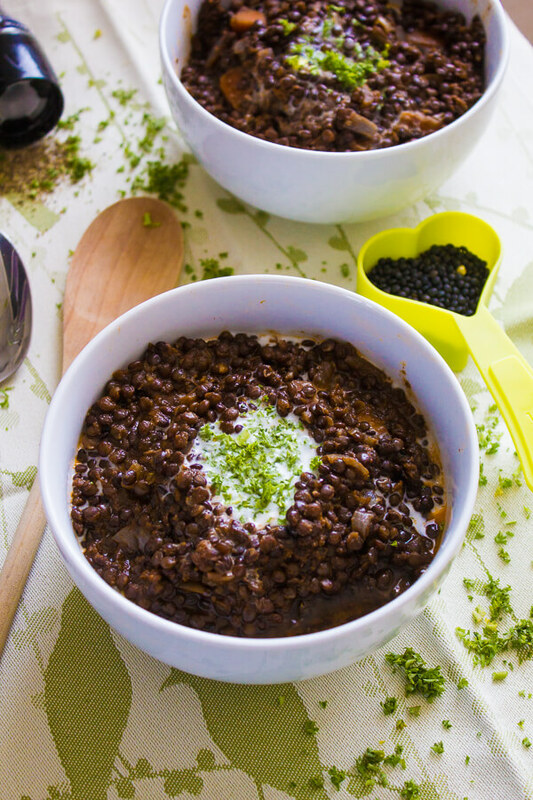 You could also make a vegetarian version using lentils instead of ground meat. Tomatoes are often associated with the Mediterranean, but they’re actually a New World food, meaning the plant originated in what’s now the Americas. But olives and artichokes? Now that’s seriously Greek. On the flip side, while artichokes are now known for growing like weeds in California, they’re native to the Mediterranean and were first recorded by a Greek philosopher in third century B.C.E. So when you’re eating Mediterranean-style food, it’s the ideal time to add some artichokes, which are extremely antioxidant-rich and known to lower cholesterol. This is an incredible seafood salad, starring fresh octopus, prawns, and mussels. And you don’t need a whole lot more than that for the ingredients to taste amazing. Everything is boiled in a pot of water with a squeeze of lemon juice and splash of red wine vinegar. 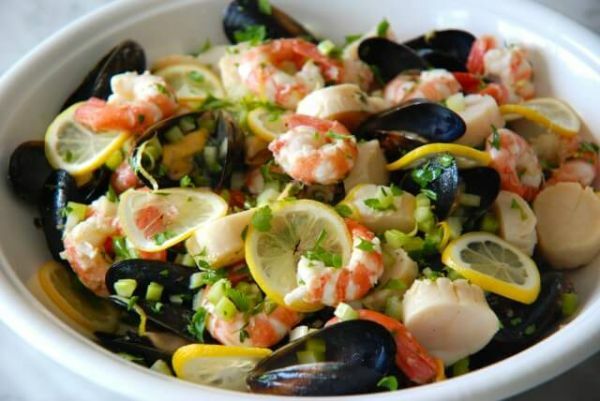 The seafood salad is then tossed in a marinade of olive oil, parsley, garlic, and chili. This is a great make-ahead appetizer since it has to chill for at least a couple hours in the fridge. 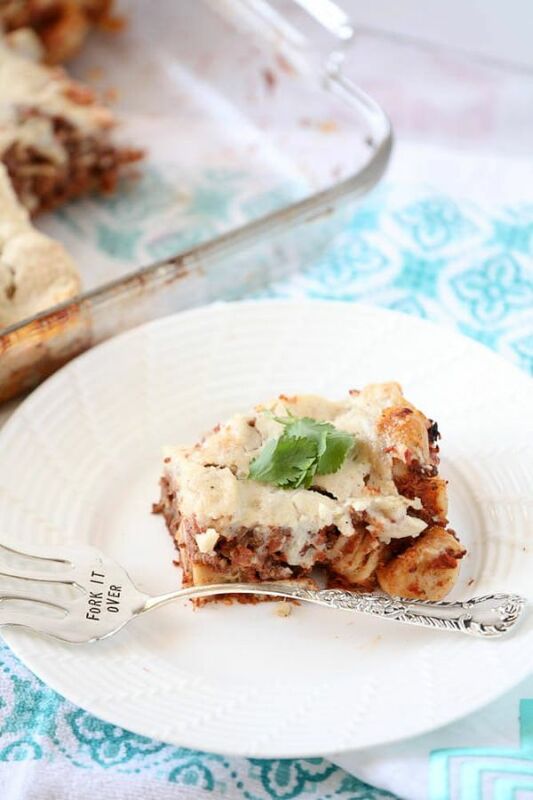 If you love Italian lasagna, give Greek pastitsio a taste. It’s also a layered pasta casserole with tomato sauce, but this “Greek lasagna” doesn’t use flat noodles. And instead of simply sprinkling shredded mozzarella on top, this has a béchamel of Greek yogurt and Parmesan. So to American taste buds, it’ll seem like lasagna meets mac ‘n’ cheese. And that means this is comfort food you’ve probably been missing out on! Why put olives in bread? Greek brine-cured Kalamatas are the best. They lose any hint of bitterness during the baking process, mellowing out to reveal more natural sweetness along with the sharp saltiness. 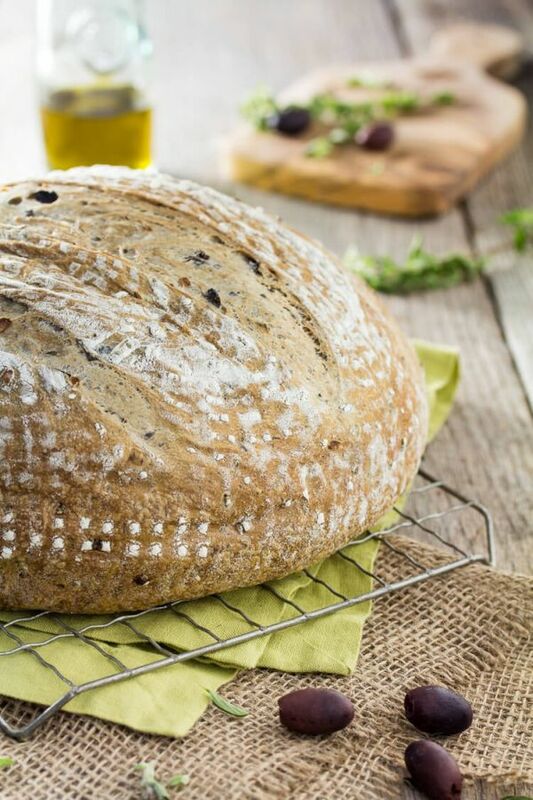 Greek bread can be served with cheese, tapenades, or high-quality olive oil as a dip. 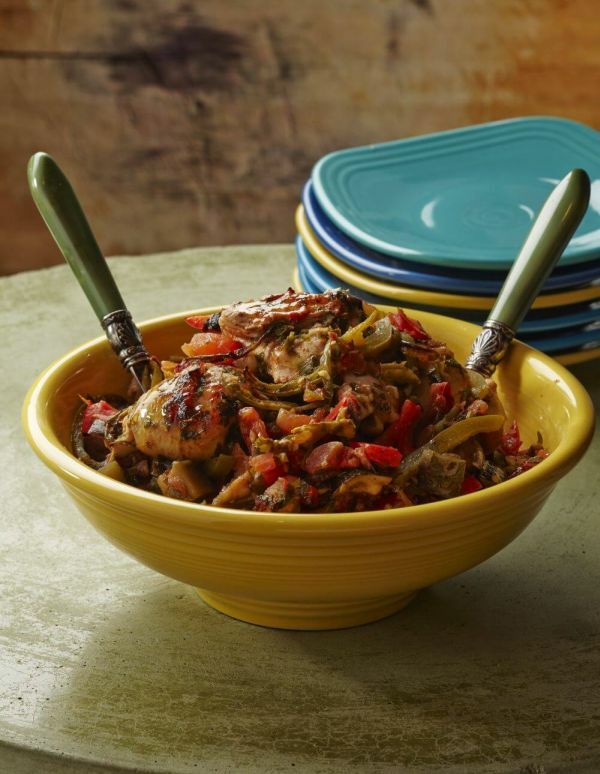 This is also an amazing bread to have at the dinner table – it’s good enough to be a stand-alone side dish for Mediterranean-seasoned chicken breast. 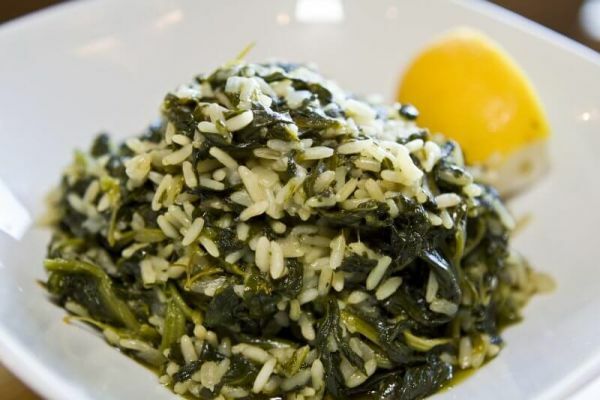 This Greek rice dish is a lot like spinach risotto, only it uses olive oil in place of butter. You also don’t have to worry about picking up Arborio rice. Although it would work in this recipe, so will medium-grain white rice. In general, this is a more adaptable recipe than a strict risotto. It’s a great way to use up fresh spinach, but a cup of frozen spinach (once thawed, of course) will work too. 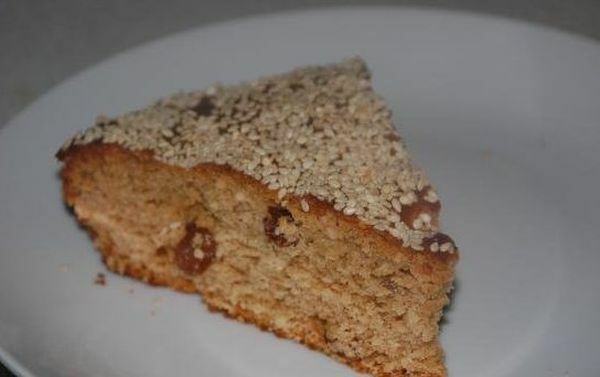 Since tahini (sesame seed paste) can be a substitute for peanut butter, and peanut butter is delicious in cake, it makes perfect sense to bake a cake with tahini. That’s why this dessert is named tahinopita, yet this lightly sweetened Greek cake is packed with plenty of other delicious ingredients too. It’s full of fresh flavor from orange juice and zest, which is complemented by walnuts and raisins. The cake also has cinnamon, nutmeg, clove, and allspice; if you have pumpkin pie spice in the pantry, feel free to use that instead since it’s typically made from a similar spice blend. 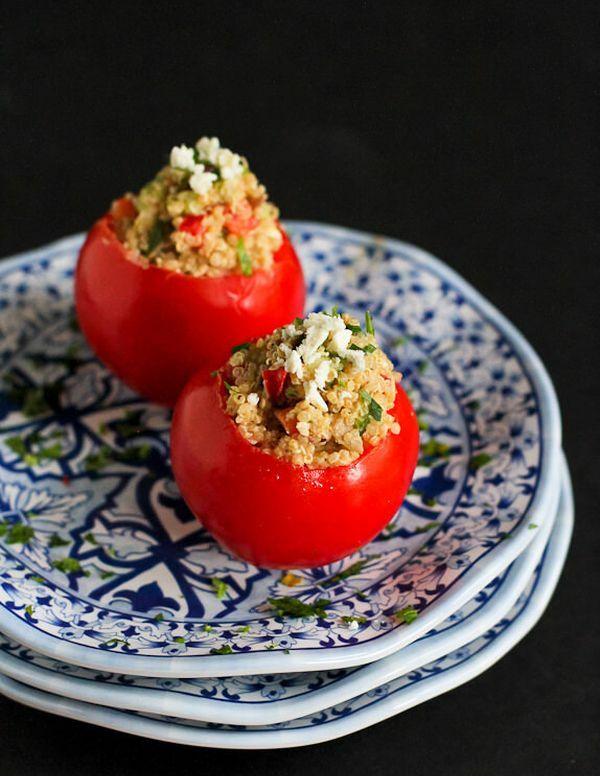 What did you think of these Greek recipes? Have anything else to share? Let me know in the comments below!